Having been at NEC for the last five years, I can honestly say – what an exhilarating ride! 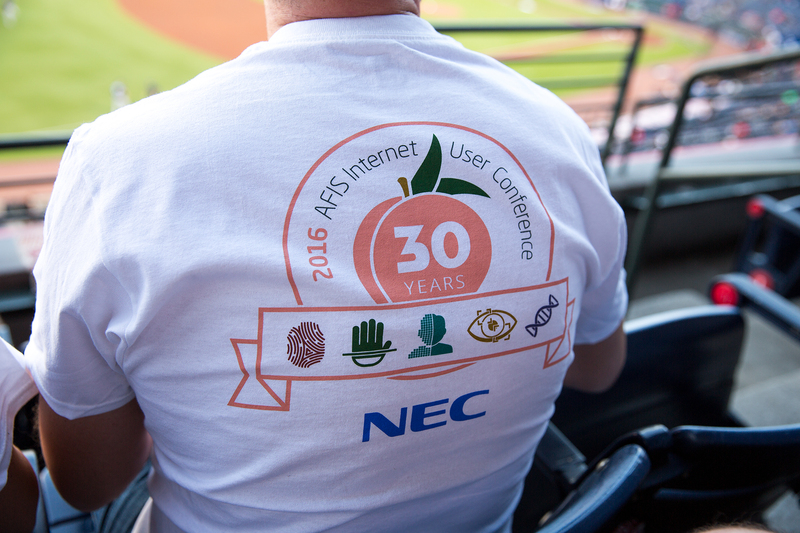 We just celebrated the 30th anniversary of NEC’s AFIS Internet User Group conference, held this year at the Omni Atlanta CNN Center. I wish to express my highest gratitude to the AFIS Internet Board, the organizers of this conference and for the special efforts and leadership of Georgia Bureau of Investigation and Atlanta Police Department, our host agencies. 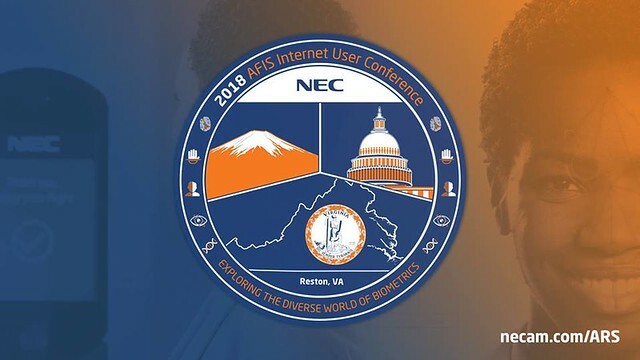 The AFIS Internet Conference leads the way for the professional forensic community, and highlights the latest NEC developments that are impacting the law enforcement industry. This year’s event drew our largest international attendance to-date, with attendees from Australia, Greece, Mexico, Bangladesh, Vietnam, China and Saudi Arabia. As expected, the event did not disappoint. Below are a few of my favorite take-away thoughts and ideas from AFIS 2016. Body language matters! Word choices and how our body moves as we talk can tell people a lot about us. Our keynote speaker was Janine Driver, CEO of the Body Language Institute and a former trainer for the federal Bureau of Alcohol, Tobacco, Firearms and Explosives (ATF). Janine’s talk helped me understand the impact that my non-verbal communication has on others’ perceptions of me. She also showed our audience a few cutting edge body language secrets to help us develop better relationships in both our work and personal lives. Georgia is a hotbed of law enforcement leadership and talent. With this year’s event being in Atlanta, we had access to some fantastic talent from the Georgia Bureau of Investigations. We heard from Vernon Keenan, director of the GBI, who spoke about leadership in law enforcement and how to transition your career out of “survival” mode and into a strong position of leadership. Mr. Keenan should know, as he has been promoted to every sworn rank in the agency since joining law enforcement in 1972. We also learned the GBI has ties to the very roots of AFIS Internet, as we heard from Debra Brown, who retired from that agency in 2014. She gave is an excellent history of AFIS Internet and certainly taught me things I didn’t know about this very special group of people. All hail the Federal Bureau of Investigations! Rachel Pastorial from the FBI’s Criminal Justice Information Systems division has probably forgotten more about the use of facial comparison technology than I will learn in a lifetime. She provided us with a highly useful overview of the face comparison discipline, which should come in handy for many AFIS Internet members as they transition into additional biometrics disciplines outside of fingerprint and ten print identification. The greatness of The First 48. We had the absolute pleasure of hearing from John X. Kim, senior executive producer and co-creator of “The First 48,” who is also the brain behind a laundry list of popular real-life crime shows, such as “Crime Scenes Uncovered,” “Steven Segal Lawman,” “Dallas SWAT,” “Detroit SWAT,” and much more. “The First 48” is a highly acclaimed real-life homicide investigation series now in its 16th season on A&E. Mr. Kim gave us the inside scoop on how that TV series came to be created, plus he provided some fascinating anecdotes about some of their most popular cases. Of course, NEC also showcased its latest identification technologies, including our newest innovation, Multi-Modal Integrated Biometric Workstation (IBW), which is NEC’s latest MBIS platform. Watch Kris Ranganath from NEC provide the newest advancements in ID technology in this video. Also, one of the more popular attractions was the demo of SmartScan, our next-generation livescan solution launched earlier this year. John Dowden, senior product manager for NEC’s biometrics business, wowed audiences with the capabilities of a livescan station designed with a sleek footprint, intuitive Windows 10 user interface and high-horsepower capabilities for a variety of applications both in-house and out in the field. So that’s it – if you missed AFIS Internet this year in Atlanta, you missed out! Of course, you can catch a glimpse or relive the excitement by checking out our photo library. 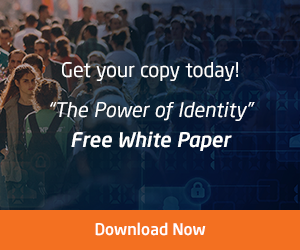 In the world of biometrics and identity management, livescan technology is nothing new. First introduced in the early 1990s, the earliest livescans were used by law enforcement to electronically capture fingerprint and, later in the 2000s, palm print images. The primary uses case was for criminal bookings and for searching against the state and FBI’s criminal fingerprint database. Fast-forward some 20 years, and, while there have been some advancements in the technology through the years, the software and user interface hasn’t changed all that much. 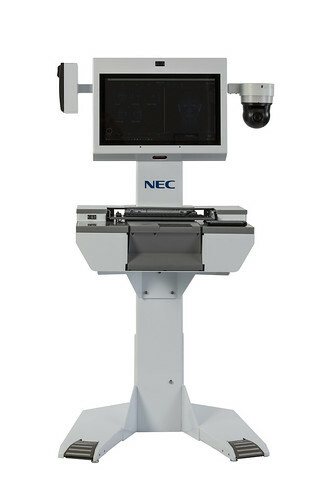 NEC thinks now is the time for a renaissance in livescan technology. This week at the International Association for Identification’s 101st International Education Conference in Cincinnati, NEC launched the next generation in livescan technology, called NEC SmartScan. You can read the details in our press release, but suffice it to say that SmartScan is designed to significantly enhance what had become an obsolete technology with an outdated user interface. Why start a renaissance in livescan now? For starters, rapid rotation of correctional officers leads to a constant need for training and a battle against poor quality finger and palm prints. We now have the ability to significantly enhance the user experience using the Microsoft Windows 10 operating system. This allows us to leverage a more personalized look and ability for swipe, scroll, pinch and zoom and give the system a much more modern look and feel, leading to accelerated training and improved image quality capture. Secondly, LiveScan reliability and service has been poor. Our remote managed services, coupled with the industry’s most talented and dedicated support personnel available 24×7, leads to higher uptime, better customer satisfaction and guaranteed service level agreement (SLA) performance. The bottom line is keeping this technology online and running smoothly is a major priority in today’s world. Thirdly, the individual components of livescan have gotten faster, better and more secure. For example, NEC’s own NeoFace facial recognition technology, recognized by the National Institute of Standards and Technology (NIST) as the world’s most accurate, will be used for operator logon and as a means to avoid duplicate data entry. Let’s leverage that in a world-class livescan! And finally, thanks to the introduction of various state and federal programs, the identity and biometrics industry has a host of new and exciting use cases for livescan technology. It’s not just state and local law enforcement that can use livescan these days. From state public safety departments to TSA Pre® to FBI background checks to the Department of Veteran Affairs enrollment, government agencies and departments are finding new uses for livescan. NEC plans to be there every step of the way. The IAI International Education Conference, held in August each year, offers a 5-day schedule loaded with educational presentations for forensic investigators and experts from across the country. Likewise, the IAI has an impressive exposition with more than 125 booths featuring the latest products and technologies for law enforcement. This year in Cincinnati, NEC (booth 301) is demonstrating the new SmartScan product both in kiosk and desktop form factors. We’re also holding live demos in our booth’s presentation theater, where we’ll also be giving away T-Shirts and chocolate bars, so if you are there, please come by. Tuesday, August 9 10:30 a.m.
Tuesday, August 9 1:30 p.m.
Tuesday, August 9 4:00 p.m.
Wednesday, August 10 10:30 a.m.
Wednesday, August 10 1:30 p.m.
Additionally, yours truly (John Dowden) will participate in an expert panel at 8 a.m. Thursday, August 11, titled “Expanding the IAI to Focus on Digital Evidence.” I’m proud to be part of this panel and a technology company helping to shape the future of digital evidence collection. Feel free to follow @NEC and @The_IAI on Twitter during the show, or you can also check out the hashtag #IAI2016. Perhaps you’ve heard of the Automated Fingerprint Identification System (AFIS), NEC’s widely deployed system used to match fingerprints with criminals to help solve crimes. Today we announced the Cherokee County Sheriff’s Office in Georgia is using NEC’s AFIS Integra-ID to help solve crimes faster and get criminals off the street. As you’ll see demonstrated in the Cherokee County press release, Integra-ID tends to help law enforcement agencies solve previously cold cases by giving forensics teams greater resources and matching ability to connect criminals with the evidence they leave behind. Even more detail on Cherokee County is available in the online case study. Forensics professionals in 30 countries around the globe rely on NEC’s AFIS technology to aid in the apprehension and conviction of criminals. In a little more than a month, July 11-17, 2010, NEC will be showcasing this technology at the International Association for Identification 2010 Conference in Spokane, Wash. It should be an informative show, and a good opportunity to see the technology in action. 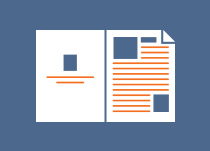 Hey Buddy!, I found this information for you: "Enterprise Communications: How to Avoid a Traffic Jam (Part II)". Here is the website link: http://nectoday.com/enterprise-communications-how-to-avoid-a-traffic-jam-part-ii/. Thank you.